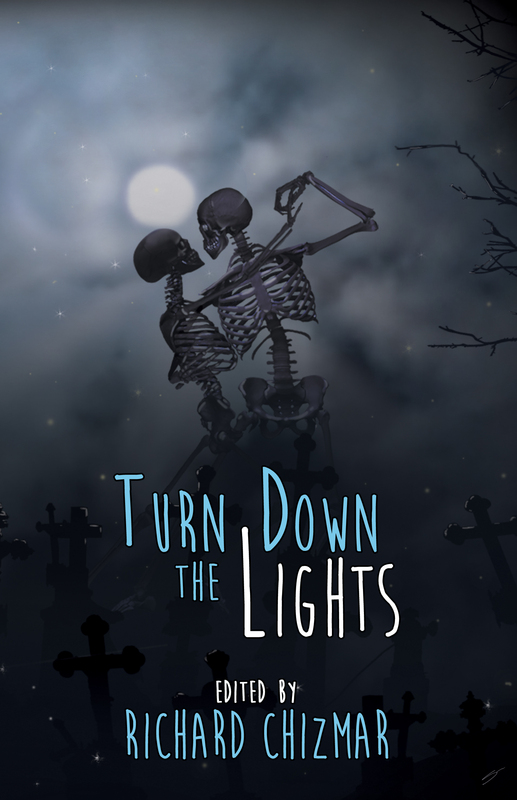 To celebrate the 25th anniversary of the premiere issue of Cemetery Dance, we're proud to announce Turn Down the Lights, an anthology of authors who helped make the magazine what it is today. Stephen King, Norman Partridge, Jack Ketchum, Brian James Freeman, Bentley Little, Ed Gorman, Ronald Kelly, Steve Rasnic Tem, Clive Barker and Peter Straub. Including bonus stories by Ray Garton and Kealan Patrick Burke exclusive to this paperback edition! "Chizmar has essentially produced an all-star, book-length issue of his magazine, and horror fans should be sure to pick it up." Turn Down the Lights doesn't just celebrate Cemetery Dance magazine; it illustrates why the magazine is still such a vital publication a quarter of a century later. Chizmar's eye for talent is impeccable, and his appreciation for all kinds of horror is essential to his success. These stories flow from the quiet to the surreal, from esoteric experimentation to Saturday matinee funhouse-style horror. For authors, an outlet like Cemetery Dance is a godsend. For readers, Cemetery Dance—including the magazine, this anthology and whatever projects come our way over the next 25 years—is a goldmine. I read devoured the stories in an afternoon, trying to make them last, but unable to control myself. Isn't that what we all want? Books that compel us to just keep reading—more, more, faster! Yeah, this book has that in spades. Stephen King contributes "Summer Thunder" a sad, tragic tale of loneliness and death, set in the post-apocalyptic atmosphere of a nuclear disaster. Another winner is "Flying Solo," proving once again what a terrific storyteller Ed Gorman is. The story describes how two old men fighting against cancer fix a bunch of bad guys mistreating some of the Oncology Section nurses. Brian James Freeman pens the excellent "An Instant Eternity," a tense and intense piece where a photographer toys with death to save a little girl from a very dangerous situation, while Jack Ketchum provides "The Western Dead," an entertaining zombie western served with a touch of Egyptian history, and Bentley Little offers "In the Room," an offbeat, enigmatic tale depicting the mysterious side of life.